I have been a huge fan of Friday Night Lights. 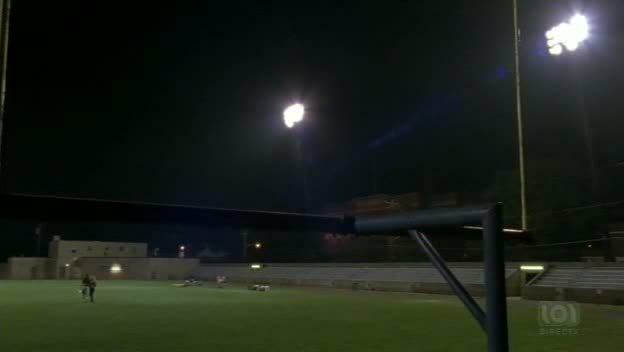 From the first time I watched the pilot episode and was amazed by what I had just stumbled upon up to the final moment when Coach and Mrs. Coach walked off the football field in Philadelphia and the lights turned off for the last time. Every time I’ve written about Friday Night Lights , I’ve noted the many aspects of the show that I believed resonated with so many viewers including myself; the sincerity, the realism, the humility and maybe most importantly, the universality of the show’s characters, stories and themes. The beautifully satisfying final season of “one of television’s greatest achievements” makes its broadcast television premiere tonight at 8/7c on NBC. NBC has begun promoting the arrival of the final season of FRIDAY NIGHT LIGHTS on Friday, April 15th. Probably, what Friday Night Lights will be most remembered for (other than how it was able to reach five seasons) is its level of sincerity; sincerity that is rarely seen on television. The final episode of what will certainly be one of the very best television programs ever airs tonight on DirecTV’s The 101 Network. While the final season begins its broadcast run on NBC, Friday, April 15th, the tribute articles and retrospectives are already popping up. So why not give those tear ducts some needed exercise before the floodgates open tonight by reading some of the wonderful articles around the internets. Tim is in his boxers and throwing everything out of his trailer in the middle of the night.